From your project page, go to Risk Management > SWMS > View. From your projects dashboard, type New SWMS Form on the search bar located on the upper right corner of your portal. 2.. Select the Project Name. Project Address will be auto-populated by the project's address. Note: If you created inside your project, this fields will new populated based on your project details. 3. 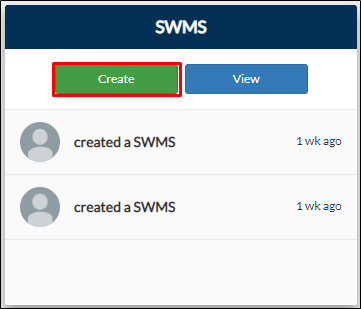 Click SWMS Tasks to expand and to see available tasks. Select tasks from the list by clicking the Show More Templates and ticking the tasks of your choice. 4. Click Inducted Workers to expand and to see available workers. Select workers from the list by clicking the Show More Workers and ticking the workers of your choice. Note: You can add worker to your SWMS form. 7. Add signature by clicking the View Signature button. You can also remove the tagging of a job in a worker by clicking the x button on the jobs. 8. Click Save. Your submissions will be displayed on the SWMS History page.